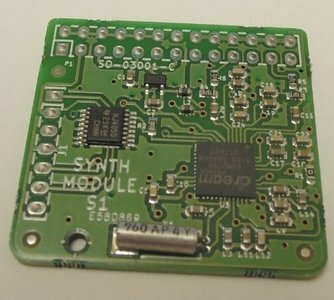 Veroboard compatible synth breakout module based on the SAM2195 chip. SAM2195 MIDI specifications and chip datasheet : click here. This board is intended for testing, education, development, and usage in custom projects and prototypes. Video demonstrating the breakout board with an arduino nano : click here.